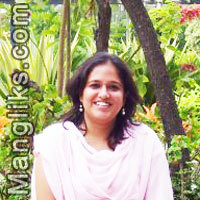 Sapna is a very jovial, friendly and respectful person. She loves dancing and travelling. She is currently at Singapore and we her family are in India,Bangalore. Ours is a nuclear family and Sapna is the eldest daughter of our family.